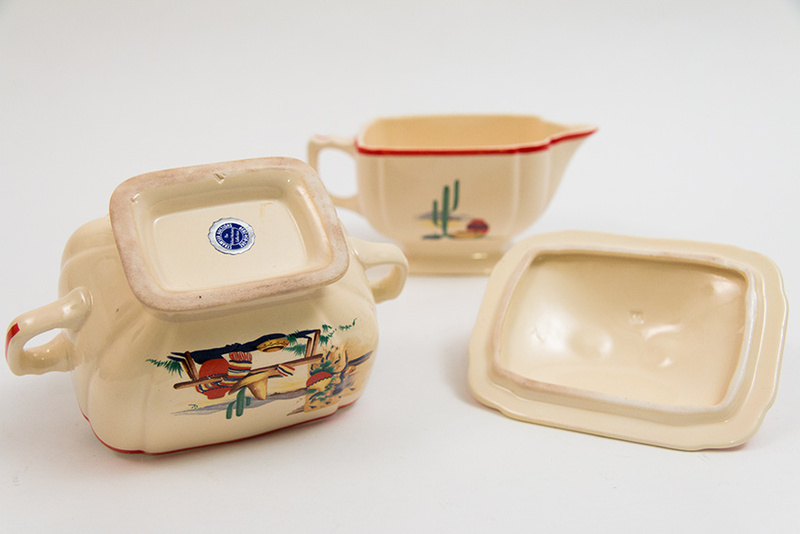 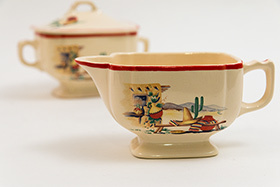 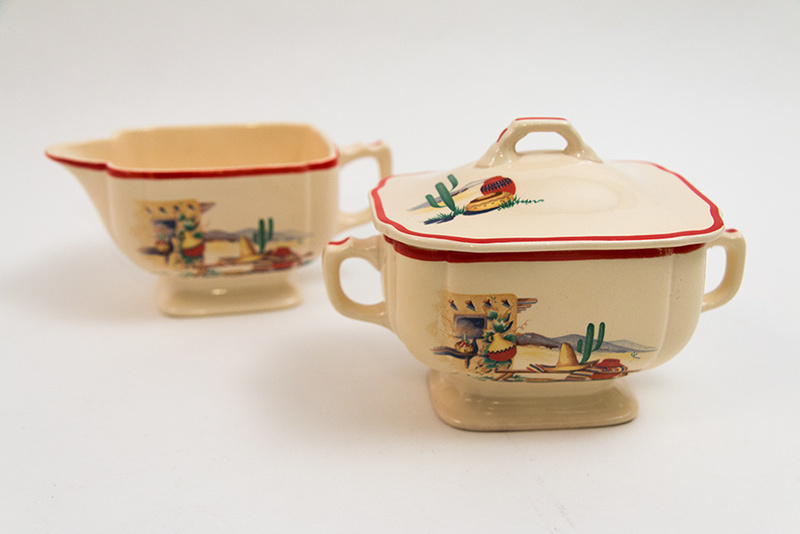 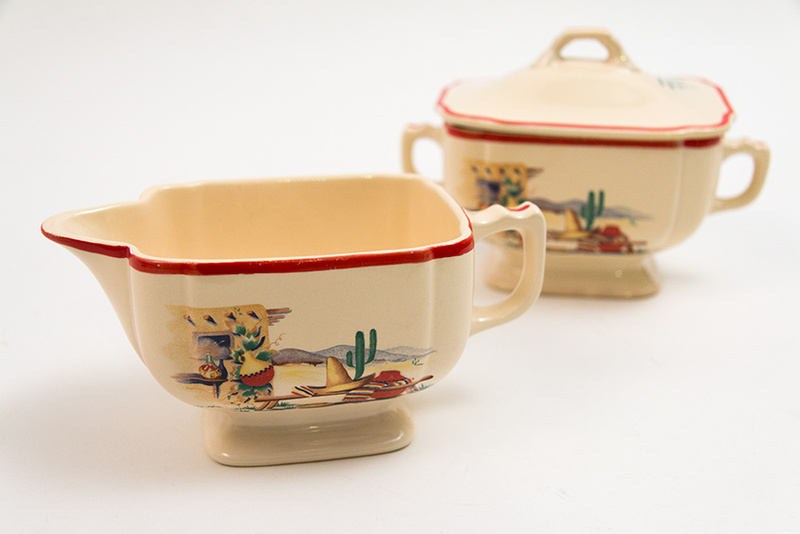 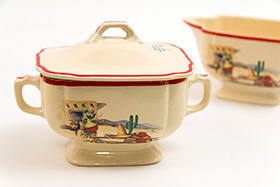 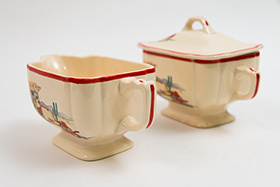 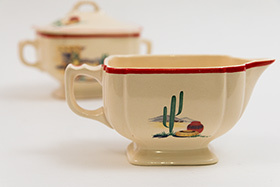 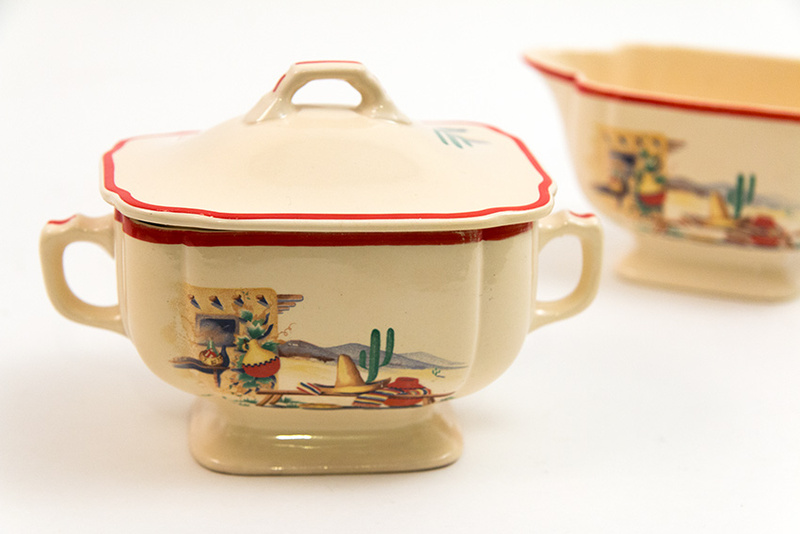 Circa 1936-1939: Here is a fantastic sugar and creamer set of the original Homer Laughlin Pottery Company's Hacienda decalware on their famous Century line. This popular line boasts a profusely decorated display of Mexicana decals and is finished off with many hand painted red stripes. 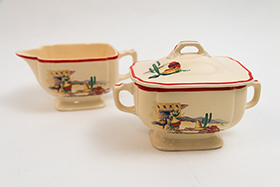 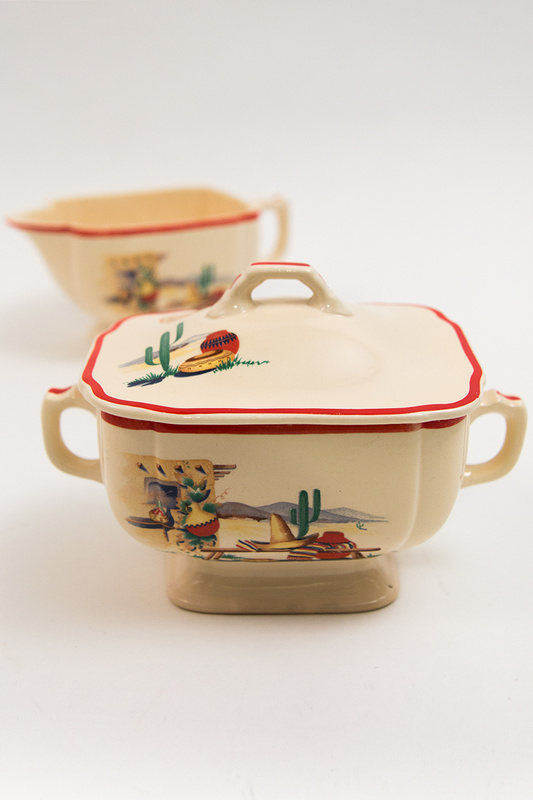 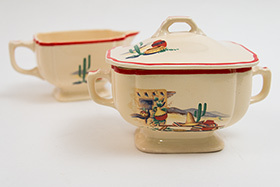 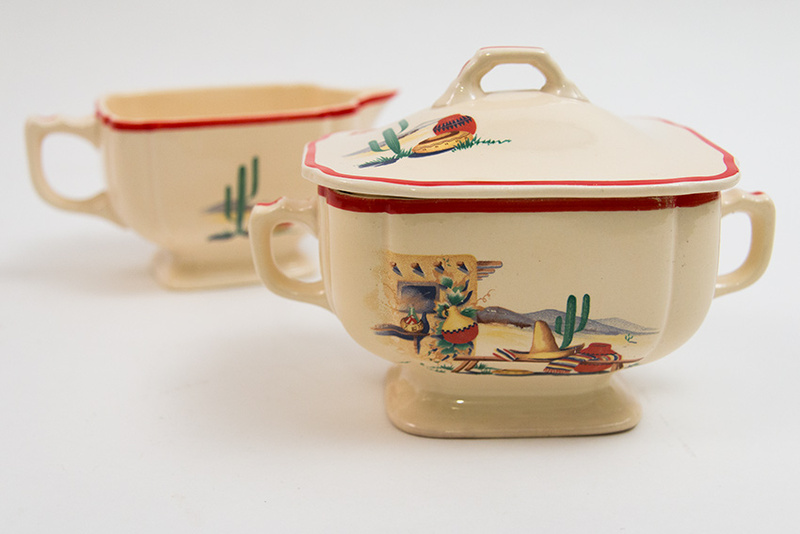 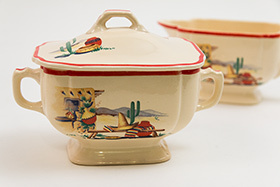 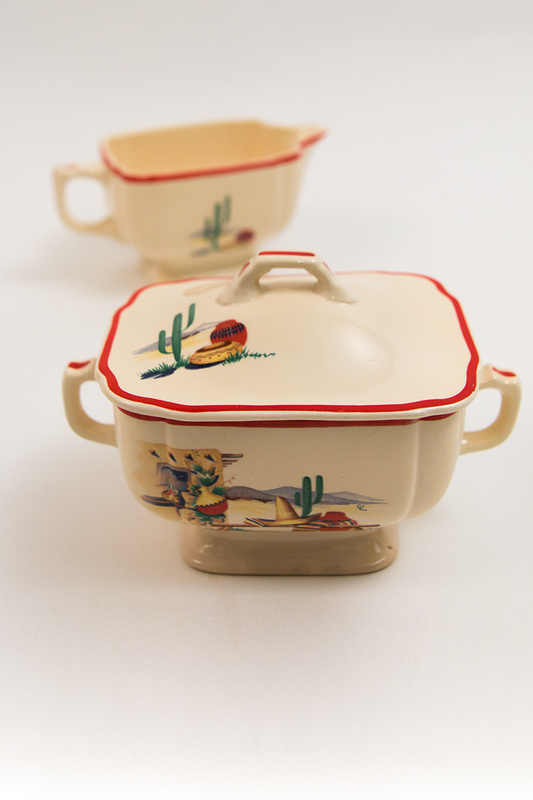 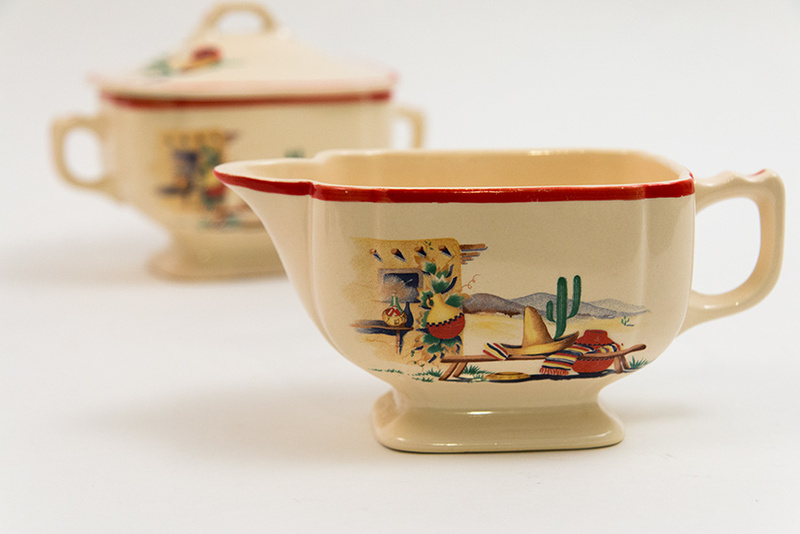 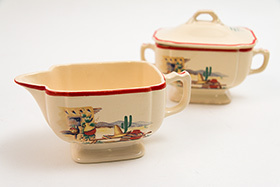 This set makes a fantastic transition between many Homer Laughlin collectable lines and also harkens to that fantastically rare red striped Fiesta. No damage, no touchups or repairs. 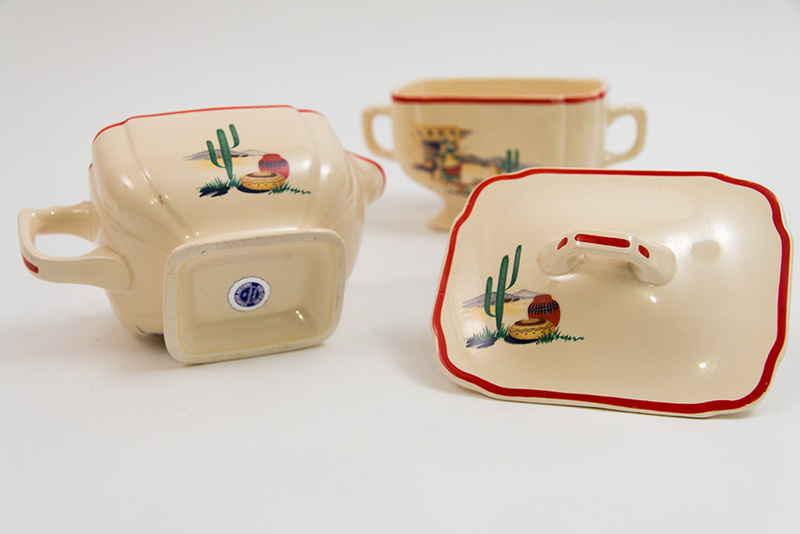 From the Richard Mayberry collection.